Drama, France/Portugal/, 1997, 105 min. 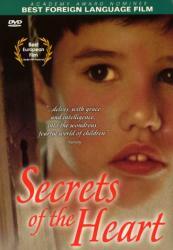 Synopsis Javi and his friend Carlos visit an old house on the outskirts of a small Spanish village. According to his brother Juan this is a haunted house and one can hear the voices of the dead. Later he is intrigued with a room which is always closed (the room where his father was found dead). He is so interested in these mysteries that he starts to investigate all the secrets of these dead people and their stories.